This is one of Thomas J. Nevin’s finely produced albumen prints of Tasmanian prisoners taken in the 1870s for the Colonial government, typical of his commercial studio practice. Date1874. Extent 1 photograph on carte-de-visite mount : albumen ; 9.4 x 5.6 cm. 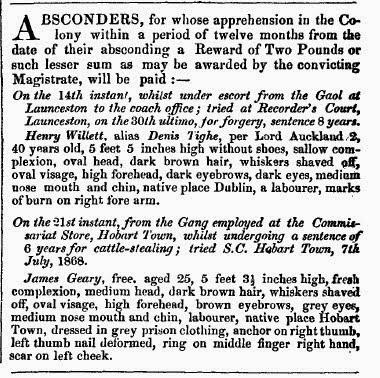 James Geary absconded from the Hobart Commissariat Stores, police gazette notice of 22nd April 1870. He was serving a sentence of 6 yrs for cattle-stealing, tried 7th July 1868, Hobart. 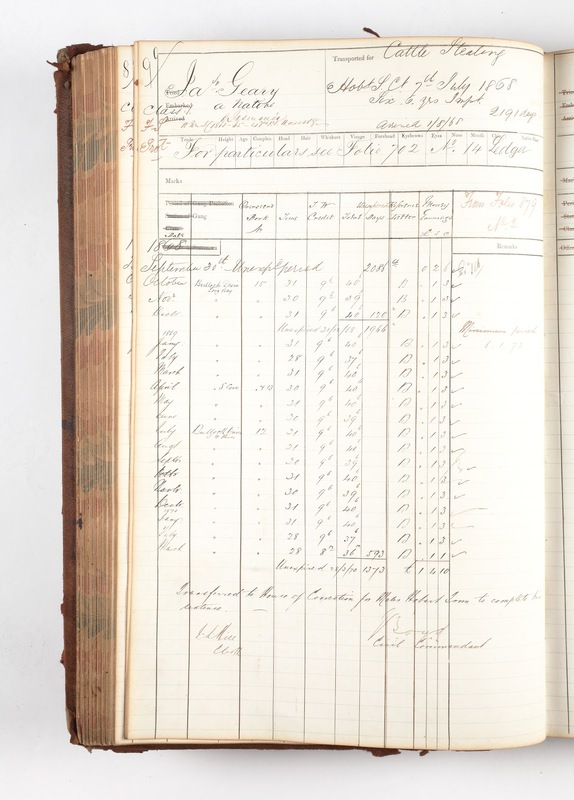 James Geary was arrested by Sub-Inspector Dorsett, 20 May 1870. Thomas Nevin often accompanied Sub-Inspector Dorsett as assistant bailiff, a service he continued through to 1886. 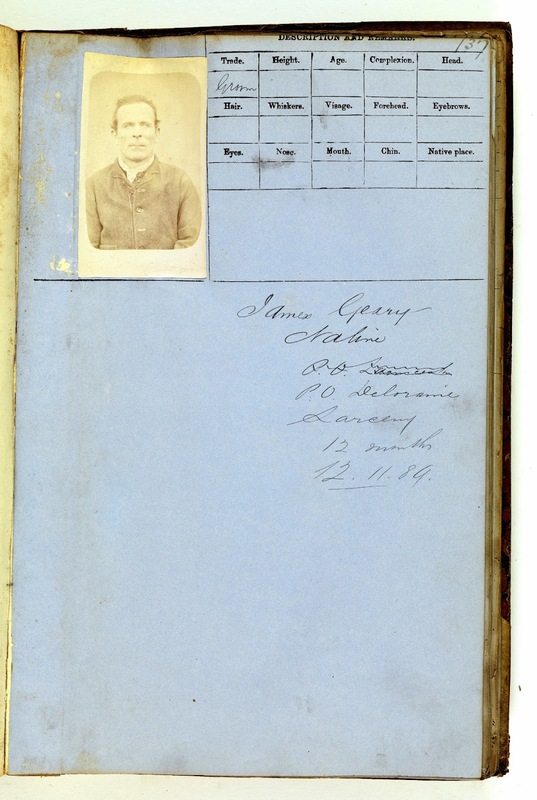 Geary was photographed by Nevin on being discharged from the Police Office on 20th February 1874. Geary was arraigned and photographed again by Nevin at the Hobart Supreme Court on 1st December, 1874. 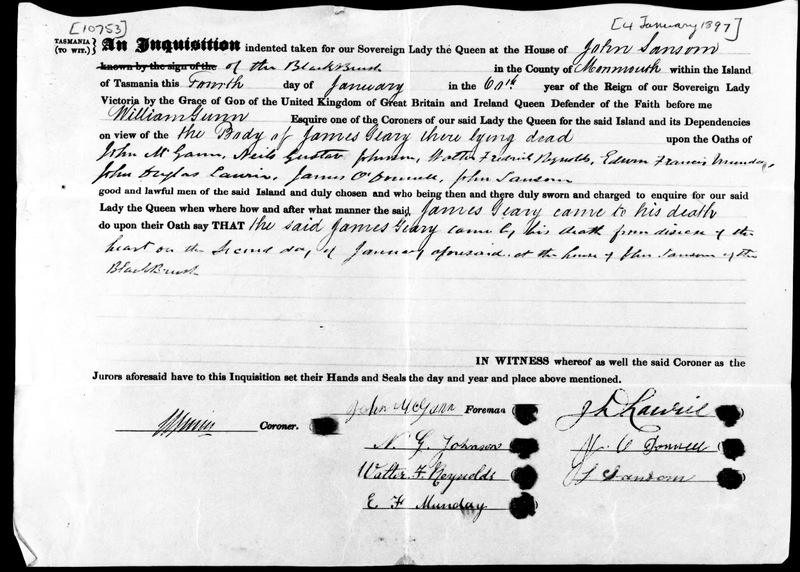 James Geary served a short sentence of less than two years at the Port Arthur prison, arriving there on the 1 August 1868: he was “transferred to the House of Correction for Males Hobart Town to complete his sentence” on 28 March 1870, per this record signed James Boyd Civil Commandant. 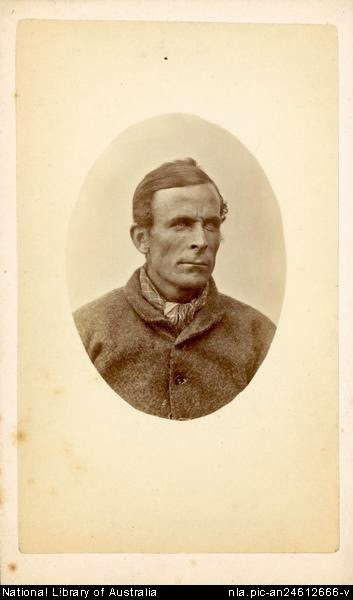 He was photographed in the last weeks of incarceration at the Hobart Gaol by Thomas J. Nevin prior to discharge in February 1874. The 1874 photograph of James Geary, aged 30 yrs, taken by Thomas Nevin is a finely produced albumen print exhibiting the commercial portraiture techniques typical of Nevin’s work for police in this decade. 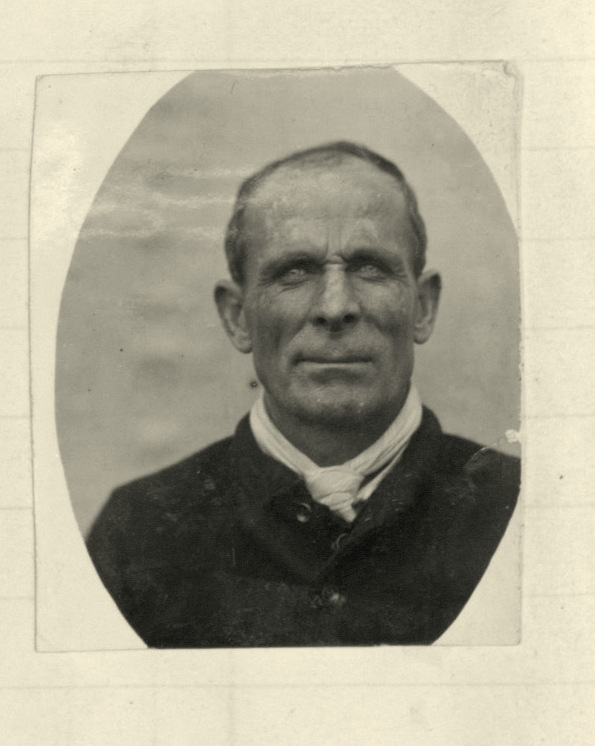 However, when James Geary was arrested again for larceny in 1889, aged 45 yrs, his mugshot taken at the Hobart Gaol was less than appealing, and more consistent with the rough and ready values of prisoner identification photographs produced everywhere by 1900, including the full-face gaze. 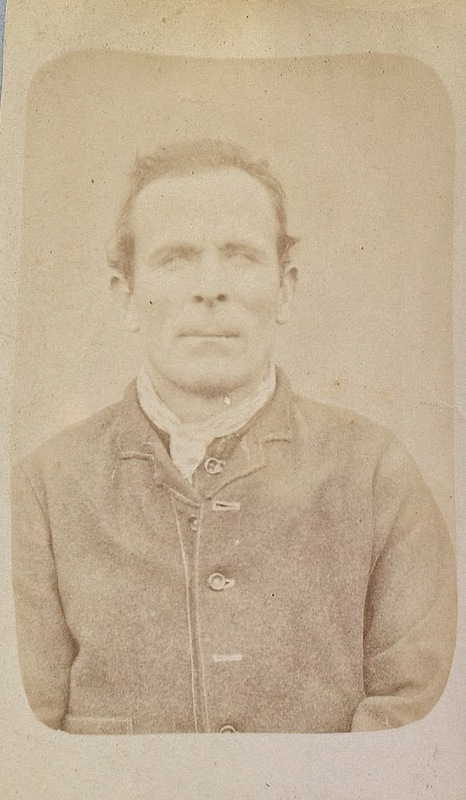 This mugshot, pasted to his criminal sheet, was taken by Thomas Nevin’s brother Constable John Nevin, at the Hobart Gaol on 12th November 1889 when Geary was transferred there from the police office at Deloraine, northern Tasmania. Convicted and incarcerated for a series of minor offences at the Police Office, Hobart, James Geary was photographed in 1893 at 49yrs old, looking rather healthier in this mugshot than in 1889. 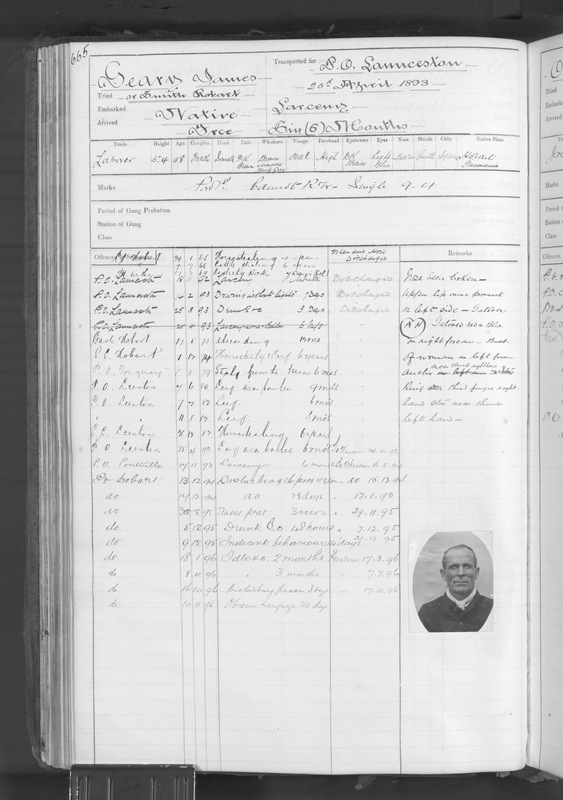 He married 44 year old widow Jane Saunders in 1894, his occupation listed as a 48 yr old labourer and bachelor. However, he may have died of heart disease one year after his last conviction, at Black Brush, Brighton, north of Hobart, in the house of John Samson. 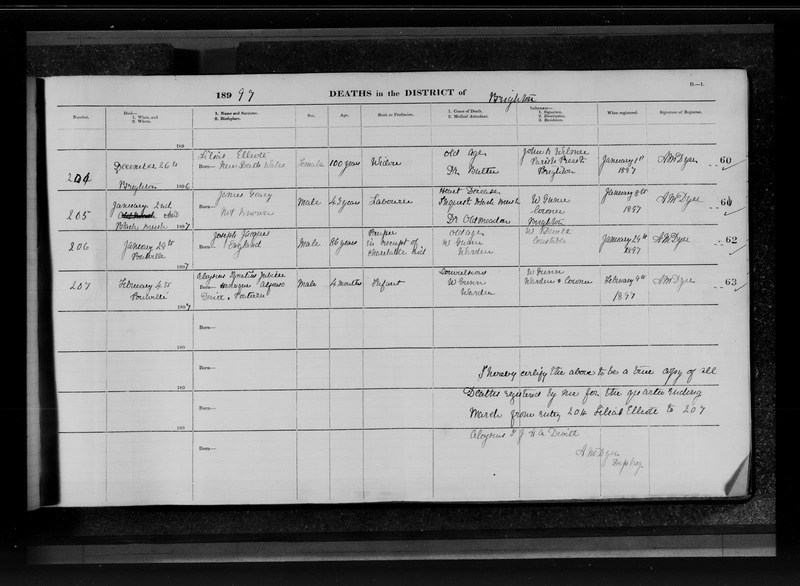 An inquest was held on 4th January, 1897, but the registration of his death on 2nd January at Black Brush gave his age as 43 yrs old rather than 49yrs, possibly because the date of his birth, as written on the record, states “not known”. The Tasmanian police gazette published this same man’s age as 40yrs old when the notice of the inquest was published on January 29th, 1897 (p. 18). Even as late as 1893, the photographer at the Municipal Police Office, Hobart, where this photograph was taken, was still printing prisoner mugshots in the oval mount used by Thomas Nevin for his 1870s cartes-de-visite of prisoners at the Mayor’s Court, MPO and Hobart Gaol.